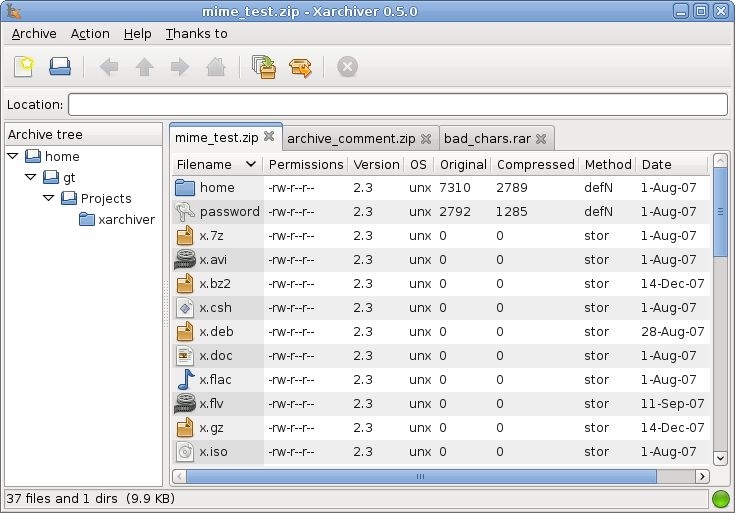 Xarchiver is a GTK+2 only frontend to 7z,zip,rar,tar,bzip2, gzip,arj, lha, rpm and deb (open and extract only). Xarchiver allows you to create,add, extract and delete files in the above formats. 7z, zip, rar, arj password protected archives are supported. It is only a front end for other compression utilities (RAR for Linux and etc...). If you need more information please contact the developers of Xarchiver (SourceForge.net), or check out their product website.